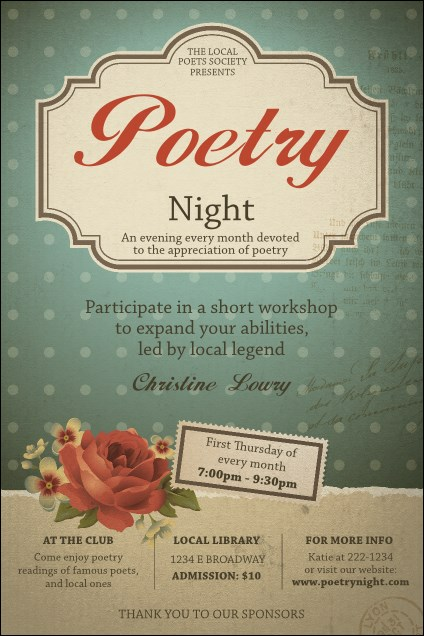 Fill the seats at your reading or book signing and advertise with the lovely Poetry Poster. A rose accessorizes this design, surrounded by delicate flowers. Event details stand out on a blue polka dot background. Post these around your school or community before your literary gathering!